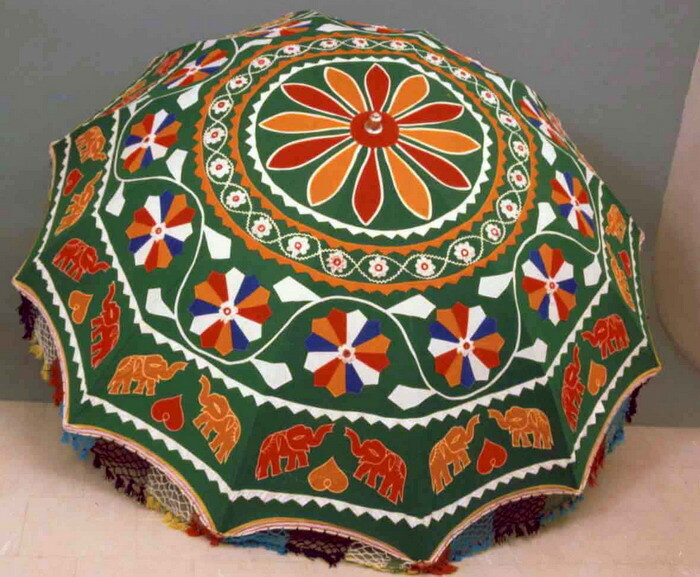 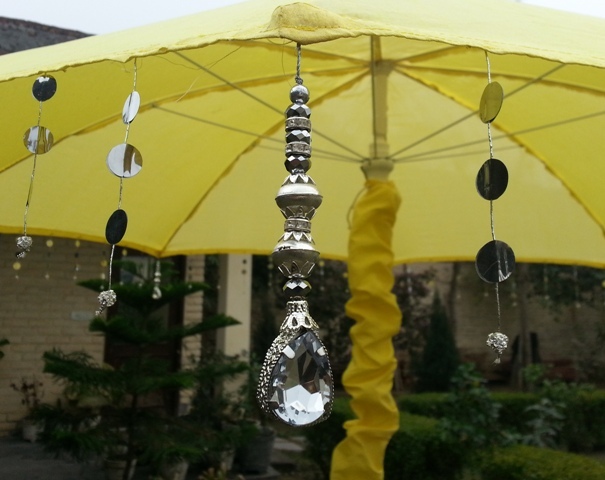 We are specialized in the manufacturing, exporting, and supplying of Garden Umbrella. 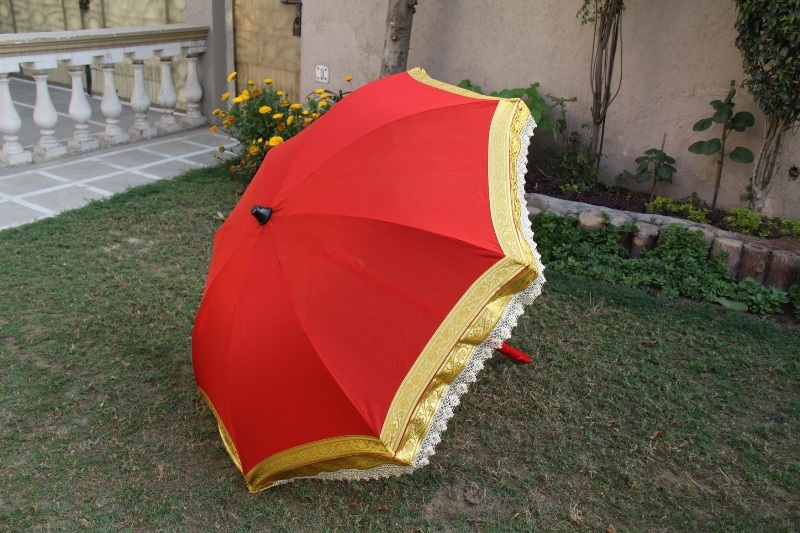 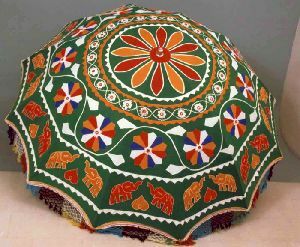 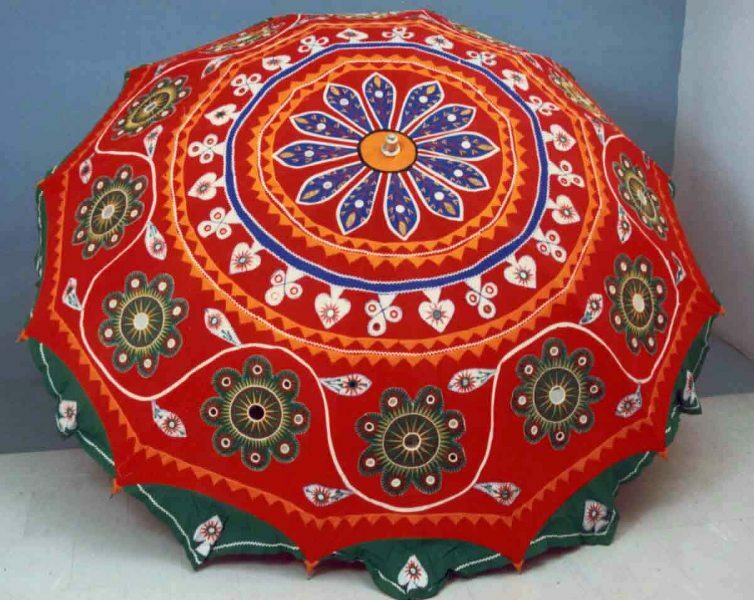 The Garden Umbrella, offered by us, reflects the blend of modern and traditional designs with lovely color combinations. 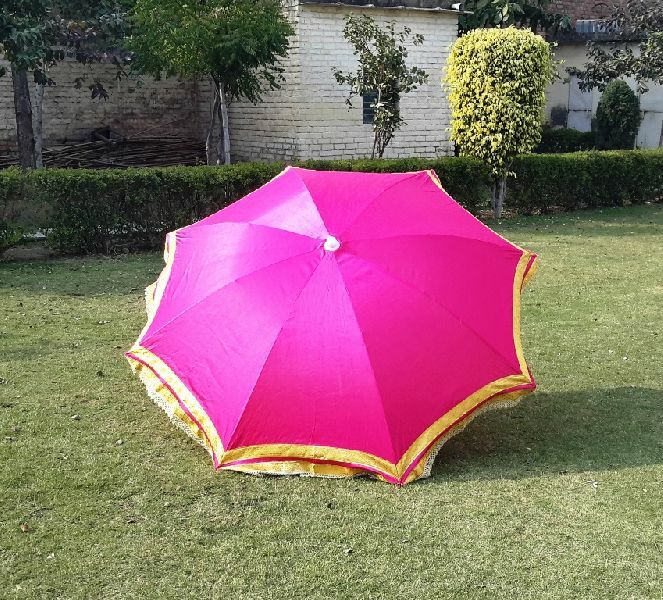 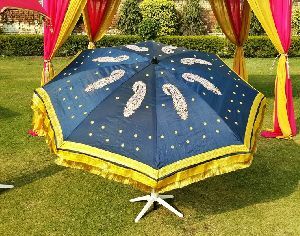 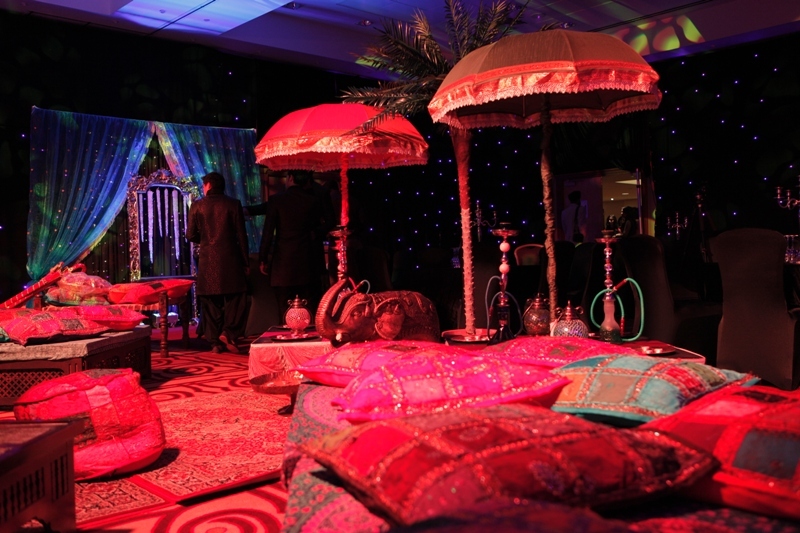 The Garden Umbrella can be availed from us at the most competitive prices. 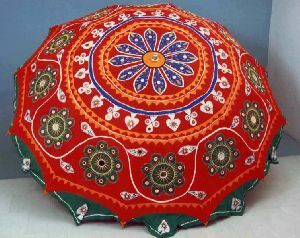 We are prime Manufacturer, Exporter and Supplier from India. 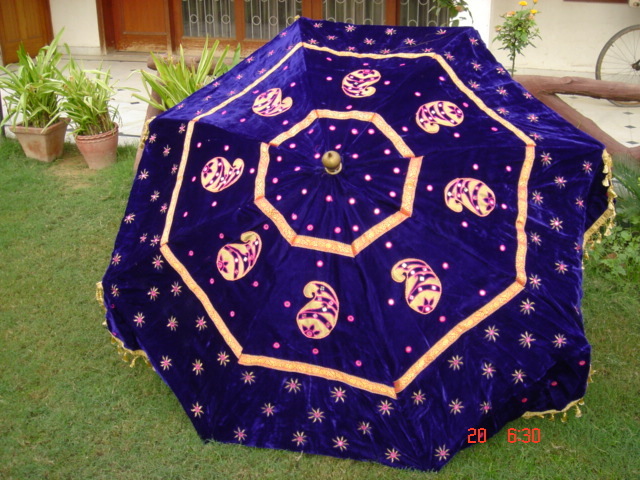 We ensure prompt delivery of our consignments. ices. 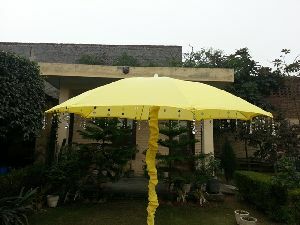 Made up of powder coated steel pipe frame with spring steel wires (8Nos.) covered with multicolor appliquÃ© patch work & Mirror work cotton fabric with similar appliquÃ© work lining inside.